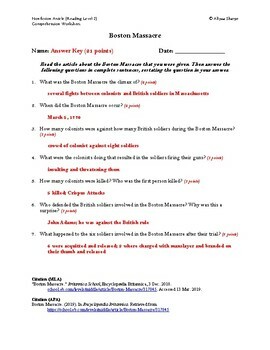 This worksheet is based upon the Britannica School Boston Massacre Article, Reading Level 2. At the bottom of the sheet is the citation to find the article online. 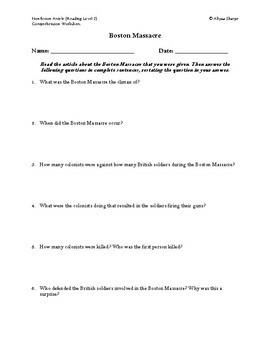 However, the questions are basic enough that they can be used for most articles or general facts about the Boston Massacre. This worksheet can be used with any social studies curriculum. It can also be used as nonfiction/informational reading. An answer key is included with the worksheet. 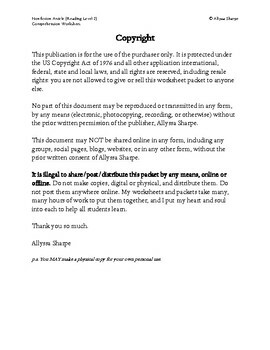 It is ready to be printed and used.